The Bombay High Court observed that construction of illegal shrines on pathways and streets is in no way integral part of any religion, so as to be protected under Article 25 of the Constitution. Ahead of the festive season, the Bombay High court issued pointed directives for efficient implementation of the Noise Pollution (Regulation and Control) Rules 2000, and guidelines issued by the Supreme Court in this regard. The High Court (Nagpur Bench) in Nagpur Shahar Water Tanker Malak Welfare Association, Nagpur and others. vs. Nagpur Municipal Corporation, rejected the writ petition of the petitioners who alleged that the Nagpur Municipal Corporation (NMC) had extended the last day for submitting tenders in order to favour certain tanker associations. The Court in matrimonial case of SarikaPalsokar vs. Sachin Palsokar, has given equal custody of the son to both parents. The High Court, yet again denied permission to introduce the system of video recording or telecasting Court proceedings. Coming to the rescue of the student community, the Delhi High Court in its judgment delivered on Wednesday said that provisional certificate issued by a University would be valid till degree is issued. In yet another turn of events in the DU Photocopy case, a Division Bench of The High Court refused to stay the Judgment delivered by Justice Rajiv Sahai Endlaw . The appeal has however been admitted and is posted for hearing on November 29th. The Court dismissed four writ petitions against the government orders to classify coal blocks into either power or non-power categories during the 2015 auction due to different reasons. In Sasikala Pushpa v. Facebook Indian & Ors., the Court passed an injunction order against four social networking sites Rajya Sabha member Sasikala is opposing viz. Facebook India, Google, YouTube and Twitter India, from publishing photos and videos that she alleged were morphed and threatened to tarnish her image in public. The High Court on Friday held that the Court stenographer’s Shorthand note book is not a “record” held by a public authority and therefore cannot be sought under the Right to Information Act. The Gujarat High Court (Ahmedabad) dismissed the appeal filed by the appellant father in FaruqIbrahimbhaiMulla v. Karishmabanu Anwar Hussain Qureshi, whereby he wanted the full custody of his minor son rehan. The Court (Bengaluru) in Bangalore Development Authority v. Sri Madaiah directed the Bangalore Development Authority (BDA) to compensate the respondent in the case, for his land was acquired without following due procedure. The bench comprising of Chief Justice Shubhro Kamal Mukherjee and Justice Budhilal R.B. upheld the decision of the single judge to compensate A.M. Hanumanthe Gowda in full for the land utilised by the BDA. The Madras High Court held that Annamalai University is not a government university and, thus, the Capitation Fee Act 1992, will not apply to the university. 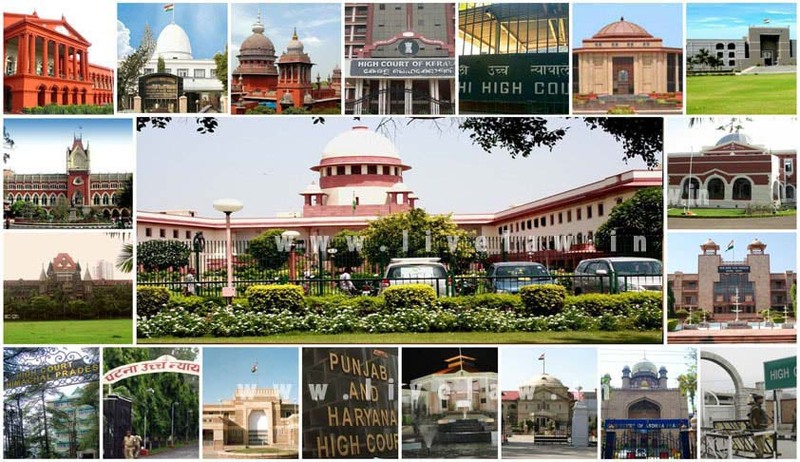 The High Court recently held that a petition for a direction to register an FIR on the complaint of the petitioner is not maintainable before the high court if the petitioner has not exhausted remedies provided under the Criminal Procedure Code and the directions issued by the Supreme Court in Lalita Kumari case. In K. Arumugam v. State of Tamil Nadu And Ors., the High Court said that all senior citizens will get special treatment at government hospitals in the state. The bench comprising Justice S. Nagamuthu and Justice M. V. Murlidaran said the Secretary to the Government (Member of State Council of Senior Citizens Health and Family Welfare Department; Respondent 3 in this case) had already issued the required guidelines for the same purpose. The High Court quashed notification issued by the State Election Commission on 26th September, 2016, for the conduct of local body election for non-compliance to Rule 24 of the Tamil Nadu Panchayat (Elections) Rules, 1995. In Mary v. State rep. by Superintendent of Police And Ors., the High Court showed its discontent with the decision of court authorities allowing a minor child to stay in jail when the convict wasn’t the child’s mother. The Court upheld an order of the Film Certification Appellate Tribunal (FCAT), which had refused to grant certification to a feature film in Tamil directed by K. Ganeshan, titled Porkalathil Oru Poo, portraying the life of a journalist named Isai Priya in Sri Lanka.